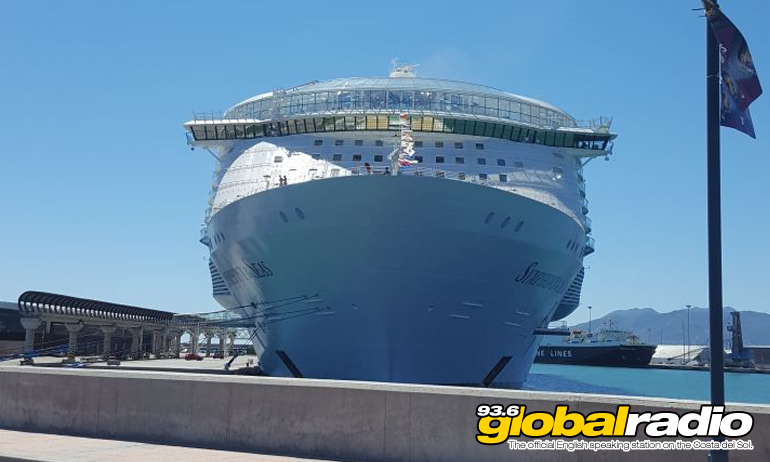 Malaga Welcomes Biggest Cruise Ship In The World. Symphony Of The Seas is five times bigger than the Titanic. The world’s biggest cruise ship has arrived in Malaga as it begins it’s inaugural voyage through the Mediterranean before heading to Florida. 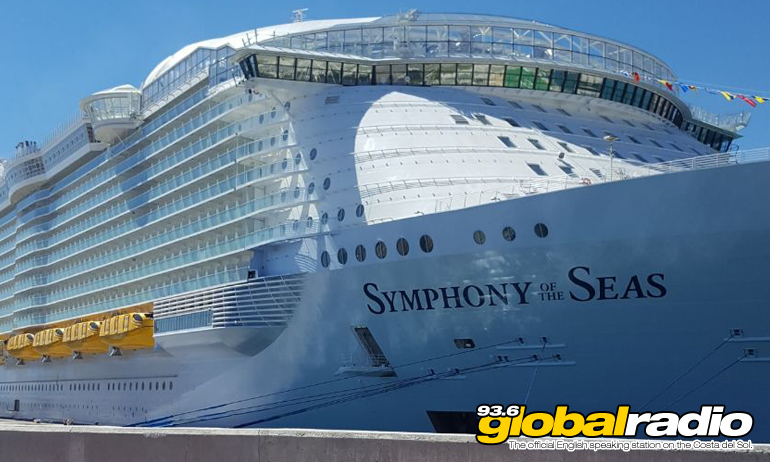 Symphony Of The Seas is over a kilometre long with 18 decks and room for 8000 passengers. The ship cost a staggering one billion euros to build. Photo by Gary Jones. 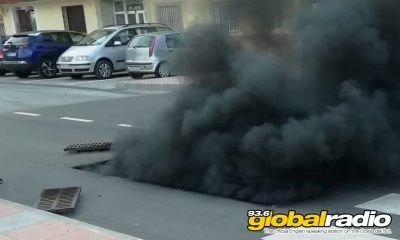 The ship is being welcomed to Malaga today with a dramatic fireworks display. Visitors are able to enjoy the spectacle today and this evening, as the ship is shown off to the world’s media. 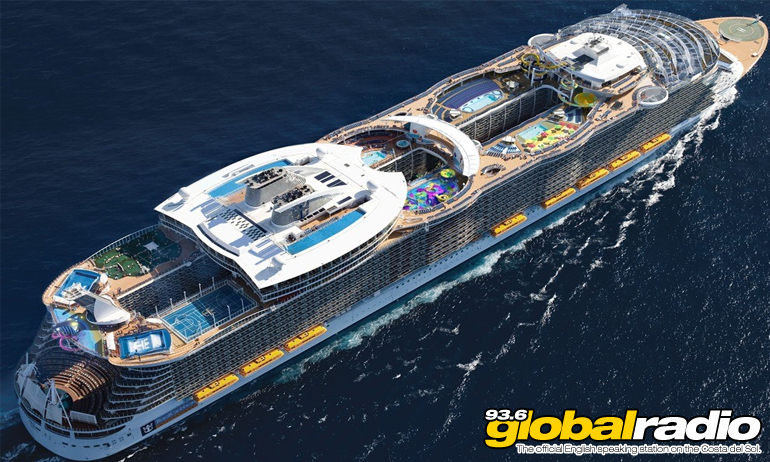 The ship has 18 decks and can carry 8000 passengers. Dominating the Malaga port, this 228 ton ship has an ice rink, zip wire, golf course, surfing simulator, 20 restaurants, and 8 bars including one operated by futuristic robots. 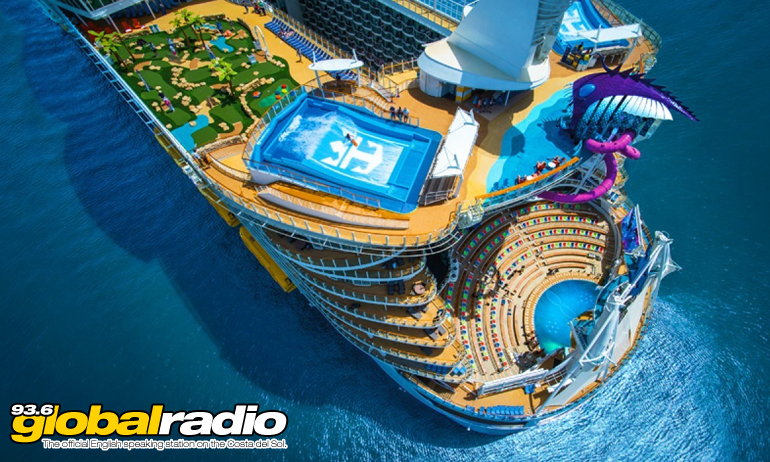 Costing over a billion euros to build, the ship even has 23 swimming pools. The vast vessel is five times bigger than the Titanic.